One potato, two potato, three potato, four…five Montana, six Montana, seven Montana, more. 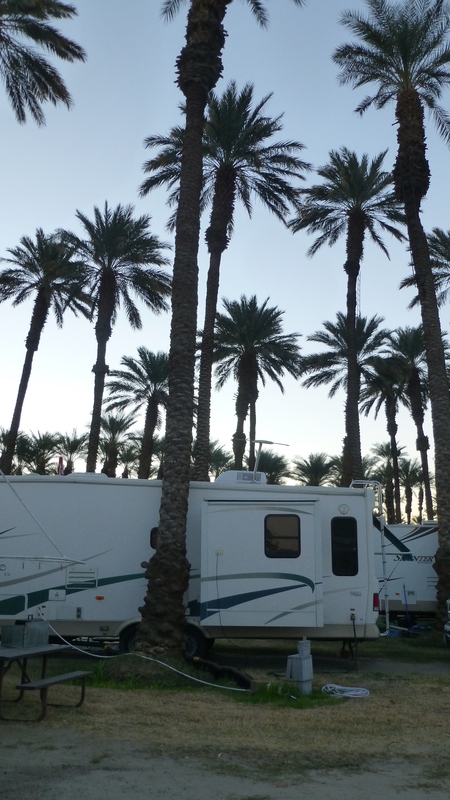 Here in our Palm Desert RV park, we have seen lots of “Famous Potatoes” license plates – the most we’ve seen in one place since… Idaho! We have met people from Pocatello and Orofino and seen designations from familiar and unfamiliar counties. This is where Idahoans come for the winter! We have also seen more Montana Fifth Wheels than ever before. We knew, when we bought ours, that Montana had been the highest selling Fifth Wheel for 11 years, and now we’ve seen them! Dozens, just like us. Randy spent quite a bit of time on a project for our Montana. He was trying to get our sewer hoses out of the “basement” area and stored in this mounted vinyl fence post. 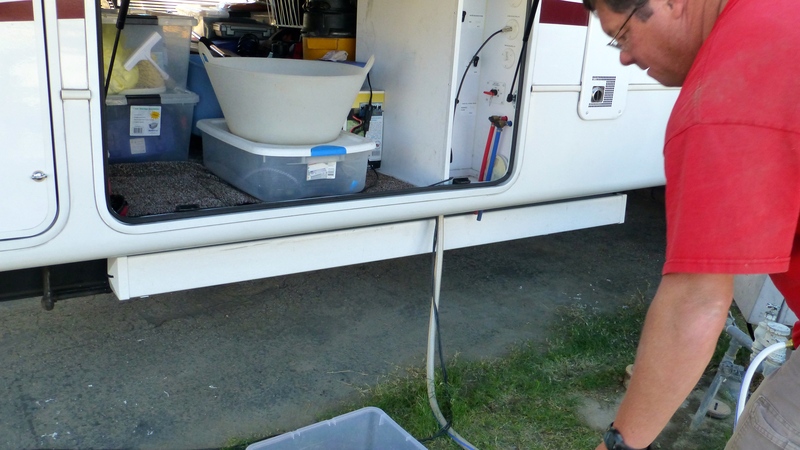 What should have been a fairly easy task, was complicated by compact space and limited tools. It took some design engineering, 1 trip to Lowes and 3 trips to the hardware store, but mission accomplished! We have enjoyed our stay here at the Palm Springs Resort, in Palm Desert. The resort itself is set amongst date trees and citrus trees. Most of the citrus trees were grapefruit, which we do not like, but Randy did pick some oranges. Fruit is available and free for personal use. 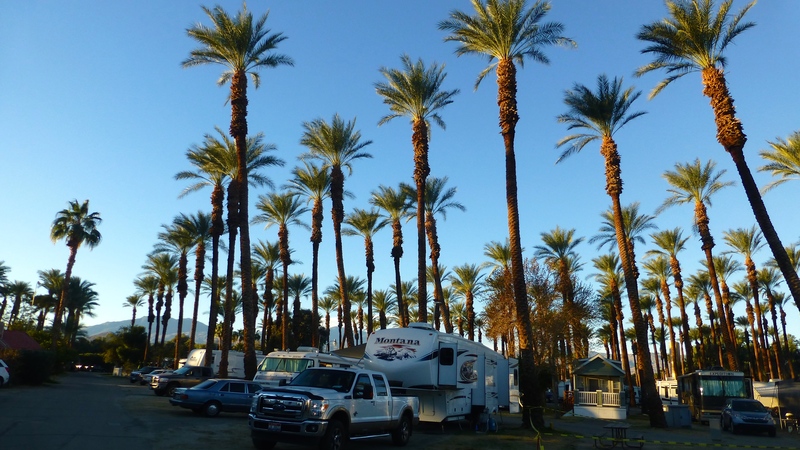 Although our site was a little more open, sometimes it is quite a task to fit trailers into the spaces between the date palms. We enjoyed playing pickle ball again. The resort even held a training session for beginners. Our teacher was quite the task master, but we learned quite a bit. We also enjoyed the hot tub and wonderful weather. Randy did not golf any of the famous courses in the area – he is just not into golfing lately. 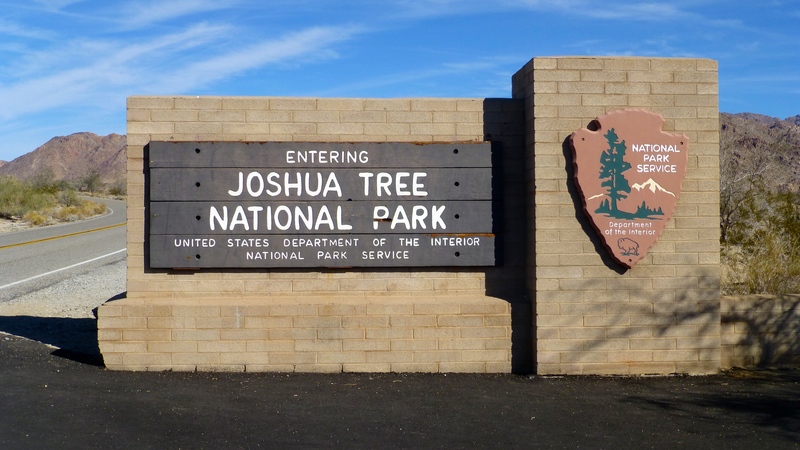 We visited Joshua Tree National Park. 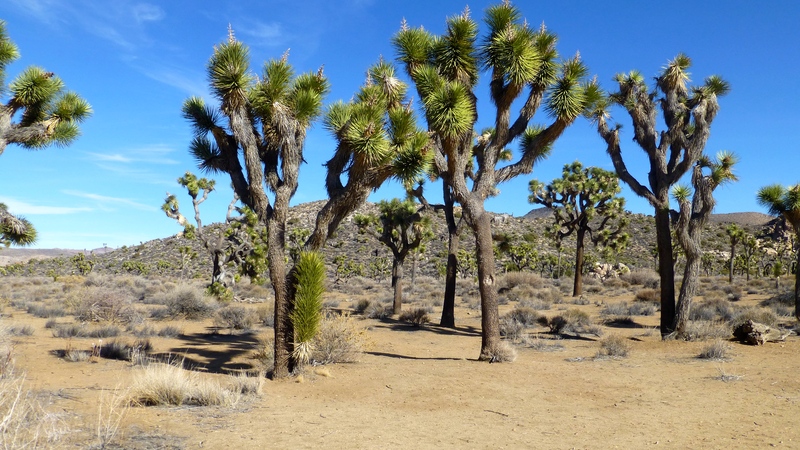 Joshua Trees are a species of yucca and were named by Mormon pioneers. The trees gave them a visual reminder of Joshua 8:18. Then the Lord said to Joshua “Hold out toward Ai the javelin that is in your hand for into your hand I will deliver the city.” The trees appeared to be standing, arms raised with pointed ends like a javelin. 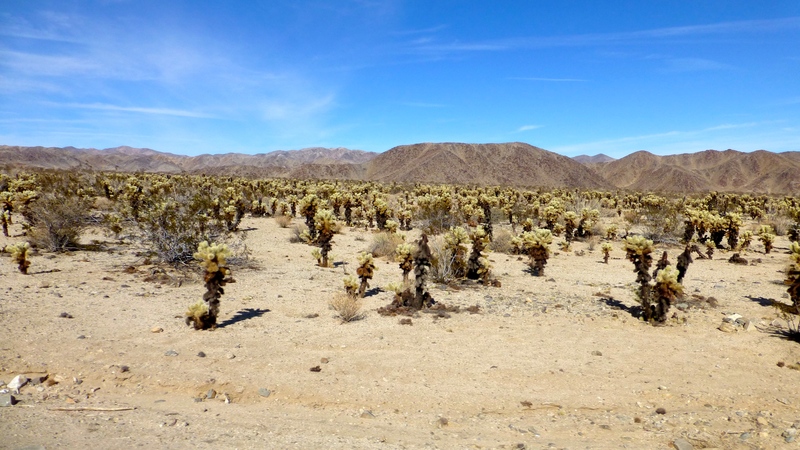 The park is the transition zone between the Colorado (Sonoran) and Mohave Deserts, each with their own ecosystem. 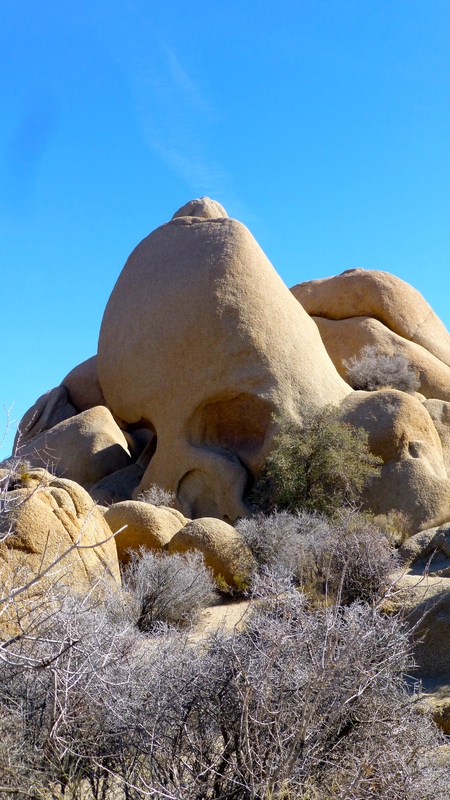 In addition to the Joshua Trees, we enjoyed the Chollo Garden and Skull Rock. The Salton Sea, formed by a flooding and runaway Colorado River in 1905-6 is in the background. 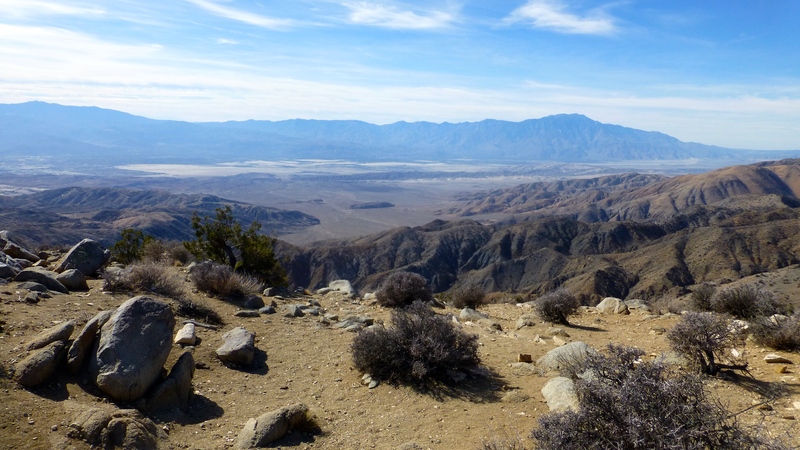 The river flooded into a desert basin about 275 feet below sea level (the Salton Sink) and the Salton Sea, a shallow lake 35 miles across, was created. 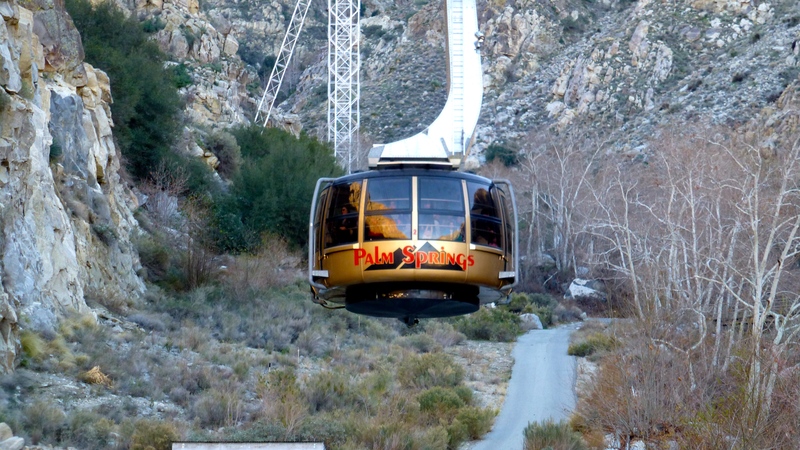 We also enjoyed the Palm Spring Arial Tramway, the largest rotating tram in the world. One of three rotating trams, the others in Switzerland and South Africa, the car does two slow complete rotations on its ascent and descent allowing you to see a 360 degree view. 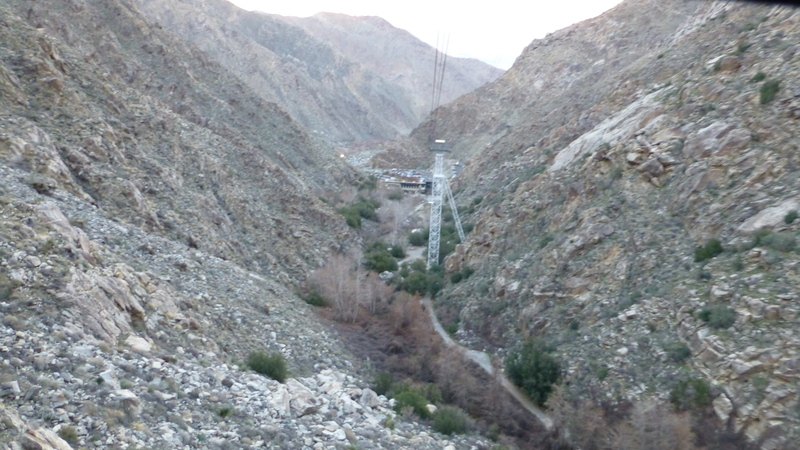 It begins at 2643 feet in a desert environment and transitions to an artic/alpine zone at 8516 feet. We went from 80 degrees to 36 degrees in ten minutes. 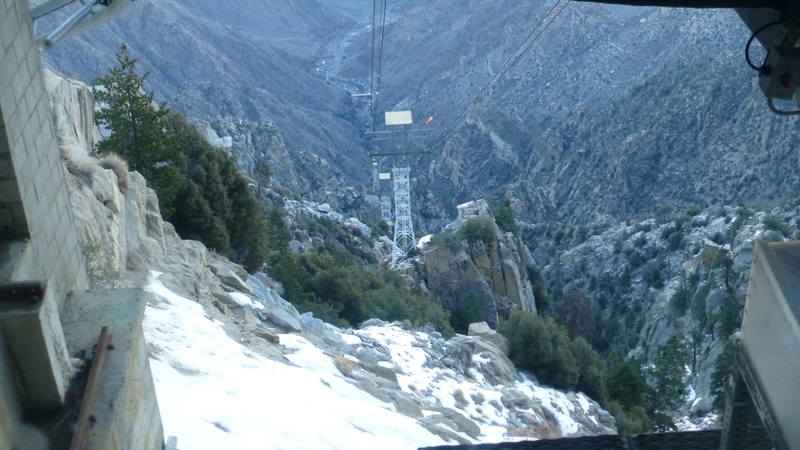 At the top you are in San Jacinto State Park which has wilderness area, hiking, rock climbing and primitive camping. 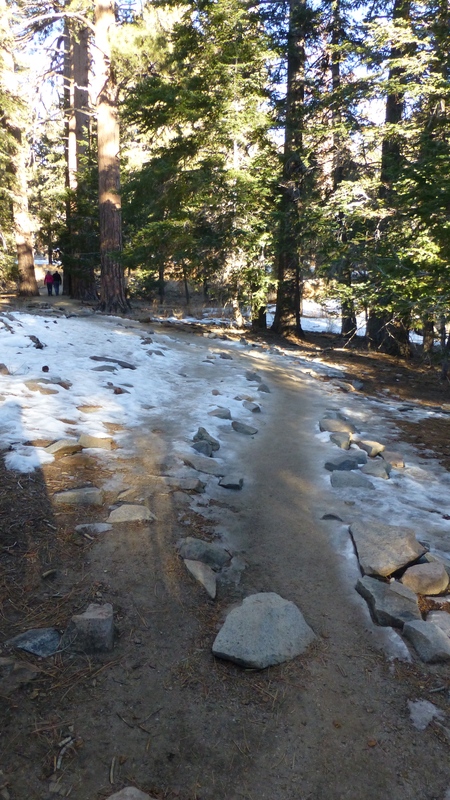 We came dressed for cold weather but didn’t come with the appropriate shoes to hike on icey trails. That was tricky! As always, we only scratched the surface of all there is to do in the area, and in California as a whole. We have very much enjoyed our travels in California, but now, it is on to Arizona!